Urban Sensations is Melbourne's creative design and construction professionals. We are an interior renovation business committed to creating desirable living spaces through innovative design and efficient project management. Urban Sensations began in 2004 by Rosalie Griffiths who is an experienced project manager, registered building practitioner, Master Builder and a property investor. We have been improving our clients’ property value and creating desirable living spaces for over 15 years. We listen carefully to your objectives for the property – and then design and deliver a value-adding and aesthetically pleasing property renovation to meet your needs. We work in partnership with you throughout the process, so we make sure that you have access to what's going on 24/7 through the use of our online communication system. Our aim is for you to enjoy your renovation experience. Our value for money service with high-quality workmanship means that you can increase the net worth of the property, attract high-quality tenants who are prepared to pay more for your property (if rental property), create a property that achieves a higher sale price (if selling the property) or simply keep the renovation spend to less than the increased rental amount, thereby adding extra dollars to your pocket Weave a little Urban Sensations magic into your life today. Archiblox are Modular Architecture experts in designing, building and delivering sustainable prefabricated homes. Our modular homes are custom designed to suit every site, environment and lifestyle. 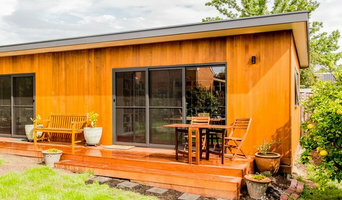 Our architecturally designed prefab sustainable modular homes, extensions and commercial projects are available Australia wide including Melbourne, Sydney, Adelaide, Canberra, Brisbane, Perth and Hobart. ArchiBlox is the perfect union between Architect and Builder, together creating a streamlined design and build process. An experience our clients enjoy and trust. A genuine alternative to the Australian housing market. 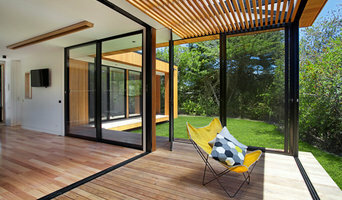 Beautiful, affordable and sustainable modular homes. Our series of prefabricated modular homes have been carefully configured to create a range of contemporary homes for exceptional value. Each home has the ability of achieving an 8 star+ energy rating with the architectural elements of space, form and detail. Built and Delivered in 8 – 28 weeks. With a strong focus on quality, service, and transparency, our clients can rest assured they are being provided the ultimate design solution with careful consideration to their site, environment, and lifestyle. ArchiBlox prides itself on a streamlined process, which ensures customer satisfaction, exceptional value and a timely delivery. Our core philosophy centers on innovation, creating smart, contemporary, and sustainable dwellings. This philosophy generates incredibly short timeframes with efficiency and affordability. Not only do we envisage the spaces that our clients will live/work or inhabit, we design and build many of the objects that they will use everyday. No detail is too small to consider! After all we are architects, interiors designers, artists and craftsmen we provide a unique holistic approach to the whole design and pre-fabricated process. Designing takes place in our Richmond Studio and Pre-fabricated in our Laverton facility, distributed throughout all of Australia. Our Modules are transported by truck to site where they are installed and fitted onto board piers a non evasive footing system. Designed, built and delivered in 18 - 28 weeks. With over 30 years' experience in the Bayside area, there is no coincidence that Chisholm is fast developing as one of Bayside's premier Builders. We offer a complete service, from concept, feasibly, town planning right through to handover. Rest assured that Tom Chisholm is involved in every step of the process. As boutique builders, we only take on a limited number of projects a year, allowing Tom Chisholm to stay involved and oversee every step of the process. We believe dealing with the one person throughout the entire process, creates a smooth transition, open communication, enabling an enjoyable experience. There is no forwarding on the project to a less qualified and experienced person. This personalised service has proven to be a winning formula over the years. We have a 100% success rate from past and current client feedback, some of whom are returning clients. Building architecturally sound habitable studios using prefabricated methods of construction. Our motivation comes from the need to find clever solutions to the housing crisis, by using back yards and subdivisions as an underutilised asset class that can be used to address the shortage of space we witness today. At Garden Studios, we supply ready made Studios that can be constructed on site or craned in. No longer does a granny flat, have to be grey and clad in 1920’s weatherboard. We have a selection of finishes and designs which are visually pleasing and that will add value to your property. our studios are built to a minimum 7 star energy rating, our pre-insulated - quick build system means lower heating and cooling costs and fast turnaround times. Our guarantee of a fixed price contract assures you that you will never need to worry about cost escalations. Established in 1969 Spacemaker Home Extensions is a highly awarded design and construction building company. With over 70 percent of our projects coming from previous client referrals, it's clear our passion is to create quality affordable homes and strong client relationships. Our business was created in order to meet a demand for reliable, professional, honest and experienced design and build services in an industry that often fails to deliver. From renovations, to building a new home, we use only the most experienced and reliable partners to ensure that each project is delivered with the minimum of stress, on time and on budget. The M.J.Harris Group are the industry experts in home renovations, extensions and restorations. The M.J.Harris Group are the professionals in providing you with the trades people, advice, and service needed to renovate, extend or build the home of your dreams. We have a dedicated and experienced team. Interior designers to tilers, renderers and landscapers, from beginning to end there is no aspect of your construction project we cannot complete. 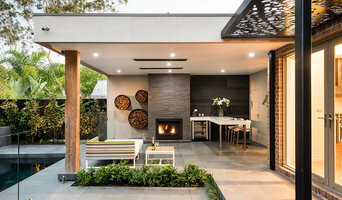 Aligned Building is a construction company based in the inner west of Melbourne specializing in custom designed sustainable renovations, extensions and new builds. Seidler Group has built a reputation for excellence in the luxury home market. Innovation, technology and uncompromising craftsmanship are combined to perfect the lifestyle you desire, our focus is on your future. We achieve a flawless result by generating the ultimate fusion of design brilliance with the highest levels of construction excellence. Personalized service, meticulous attention to detail, a progressive commitment to turning dreams into reality – all are hallmarks of the company’s individual approach. We offer a fully integrated design / build service that embraces every aspect of interior design, landscaping and recreational activities, drawing these essential factors together to form one complete functional family living center. Our vision is to inspire our clients and the design industry, to constantly develop modern innovative techniques and set ourselves apart, allowing a modern movement and progression for Seidler Group. Abode Restoration is a boutique heritage restoration building company, specializing in both residential and commercial buildings. Abode Restoration was formed because of a growing need within the Heritage Restoration market to be able to source the expertise and skill being exercised on larger commercial restoration projects, and make it available for the domestic and smaller commercial market. Abode Restoration brings a breadth of experience to any restoration project. We can find the right solutions to most repair problems, by drawing on this experience and a wide range of practicing artisans. Detailed carving and restoration work often carried out in-situ, requires a consistent degree of empathy to match the work of the original craftsman. Renmark Homes are specialist builders of custom new homes. We cater to clients looking for a premium quality home with a personalised and professional building process. We are a family operated business, offering a concept to completion service. We can help design your dream home through our affliated designers or quote you own design if you already have plans drawn. With more than 20 years of industry experience, we provide a seamless experience, ensuring you feel heard and valued during the process of building the home of your dreams. Contact us today for an obligation free quote. At HouseSpec, we’ve got over 30 years of combined experience in the building and construction industry, and we’re proud to be passing the full benefits of our skills and knowledge onto our customers. We’ve created an extensive team of professional sub-contractors who represent every aspect of the design and construction spectrum, from drawing up floor plans to laying down house foundations, which means that we’re equipped to handle your project from start to finish. We’ll check every detail and ensure that we’ve got each one just the way you want it. HouseSpec is a small company, so we can guarantee friendly, personal service, and keep you informed every step of the way as we liaise with our team of professionals to transform your ideas into reality. We’re built on strong foundations, and we want the same for all our customers. Todd C Pearce & Co.
TCP & Co. Provides a unique client side design and project management consultancy service. With over 25 years experience in the design and construction industry. TCP & Co. brings practical and experienced based advice to any project; whether Residential, Retail or Commercial. After years of working for various design, architecture, construction companies all with their own way of doing things - all complete with their own strengths and weaknesses - Todd realised that a service that considered all the options and worked only for the client was much needed in an industry of specific service providers. So rather than going to a single company with a certain approach - TCP & Co. works with their clients to - establish the brief, provide cost estimates of the various options, provide concept design advice and will then implement the program - bring to bear their wide range of connections in Architecture, Drafting, Lighting design, Engineers, Builders and other construction professionals. TCP & Co. offers a fully transparent and collaborative approach to everything they do - the only client is you. 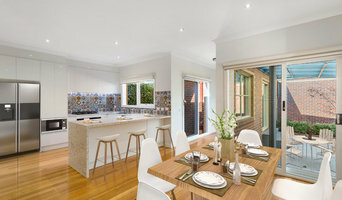 If you require professional building, carpentry, and construction services for new homes and townhouses in Templestowe and the surrounding areas, you need an experienced construction service you can count on. Here at Destin Constructions, no job is too big or too small for our skilled builders and tradesmen, and, we can guarantee that once we start a job, we won’t stop until it’s finished to a standard that will meet or beat your expectations. Offering our clients a comprehensive range of construction services, we will give you a finished build you can be proud of. From the initial design phase, right through to the final product, we will work with you on the conceptual ideas and designs, and help you choose the perfect fittings and fixtures to ensure your complete satisfaction. Specialising in providing superior construction services for executive homes, our priority is to provide all our clients, tradesmen and suppliers with an unrivalled service. We also promise to maintain meaningful communication with you at all times throughout your build and supply you with the most helpful and informative advice when you need it. We welcome the opportunity to work with new design professionals within the ever-growing construction industry. Our flexible approach to design and building ensures our team is equipped in all facets of the process regardless of the building model, style or objectives. We focus in design and construct homes and renovations, with expertise in managing the process from the early concept design stages right through to final project completion. Whether it’s a modern or classic architectural home, we work in conjunction with the relevant consultants to ensure design, budget and client expectations are met. Our team has an attention to detail and a level of craftsmanship that is matched by very few of our competitors. Our passion for quality and our professionalism, whether it be on site work or project management ensures our work is of the highest quality. Firms that can carry out both design and construction in Richmond, Victoria take on the combined responsibilities of an architect, draftsman, construction company and additional contractors, providing one point of contact for homeowners. Having one entity responsible for the entire design and build, from estimation to subcontracting and even post-construction, streamlines and often speeds up the project significantly. Having a unified project team can also help you avoid unforeseen costs and delays in construction. In addition, the homeowner only has to interpret one contract with the design and construction firm, and not with various architectural design and contracting professionals. However, depending on the firm, you may still want to contact an interior designer or architect to help create the exact look you want. Here are some related professionals and vendors to complement the work of design & construction firms: Interior Designers & Decorators, Landscape Architects & Designers, Architects, Photographers. Project management demands time, skills and an eye for both detail and efficiency. While many homeowners choose to manage their own projects, they can often regret their decision once the build or home improvement project is complete. Homeowners should carefully consider the time they have available to allocate to locating, hiring and eventually paying every contractor who enters the site. From certifiers to roofers, and even your draftsman, a firm that can undertake design and construction in Richmond, Victoria benefits from having all of these home professionals under one roof. Find a Richmond, Victoria design-build firm on Houzz. Scroll through this page to find design-build firms in your area. You can browse recent projects, read reviews and message the firm directly. 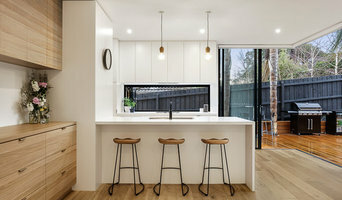 Another way to find a firm that can carry out design and construction in Richmond, Victoria is to browse Photos on Houzz. If there’s a photo you like, find out who designed and constructed it and strike up a conversation with the professional responsible.